Well, I tried to give a Curry Class but none of the kitchen showrooms wanted to host me and I understand why. 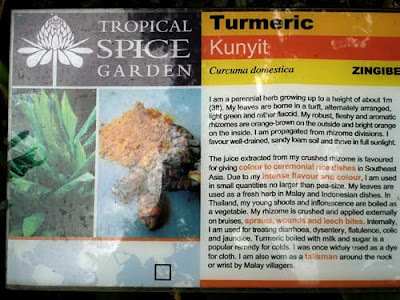 Tumeric (description I shot at Spice Garden, Penang and will blog about soon) makes everything turn yellow, the showrooms have very expensive marble countertops or quartz. Plus they mentioned the “smell” would permeate for days, I personally love the smell of food. So, this is the next best thing. I don’t necessarily agree with Wikipedia’s explanation of “curry”! I kept shaking my head in disagreement as I was reading it. 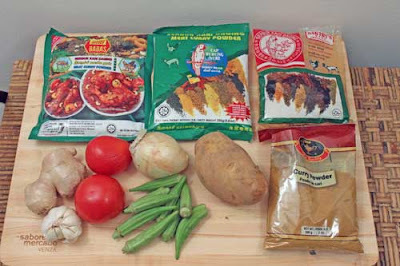 Curries differ in spices used in India, Malaysia and Thailand. 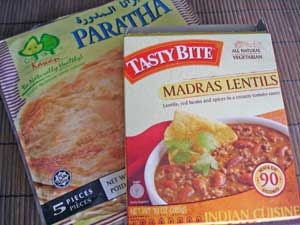 As far as I’m concerned these are the 3 main countries that I associate curry with. 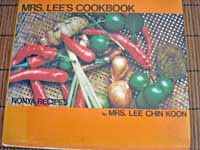 I love leafing through my mom’s favorite Malaysian cookbooks. usually because I can’t get the strange sounding ingredients! 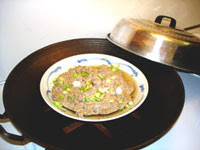 When I was growing up in Hong Kong, my sisters and I had to pound all the spices by hand in a stone mortar and pestle. I am the proud owner of this same mortar and pestle. Thank goodness I brought it over years ago when they weren’t charging for weight or suitcases cause it weighed a TON! 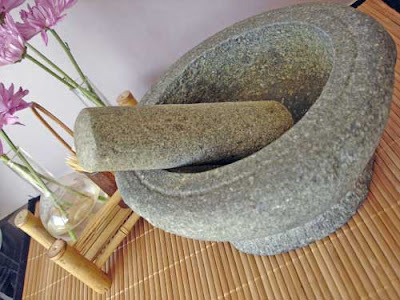 This is one of my mom’s original stone mortar and pestle I lugged back from Hong Kong! Years later with grumpy neighbor gone, I had fantasies of how wonderful it would be to have freshly pounded spices instead of using a food processor. Well, it didn’t last more than a week before I packed it away again. It’s just not very practical for a small person to haul around a 60 pound mortar. But, I love all these associations of food and my family, brings back such good memories. I like EASY and CONVENIENT. 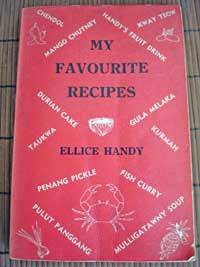 another for fish, rendang (dry curry) etc. I absolutely love the smell of curry powder when it hits the hot wok. Yes, I cook curry in my cast iron wok. It’s the perfect shape and size, makes it easy to turn food around. If you’re worried about the acid hurting your wok, I can assure you that once you wash it out and cure with a bit of oil, start using it, your patina will build up IMMEDIATELY. 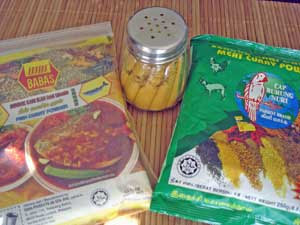 I put curry powder inside a chili shaker (see above photo), the ones you see in Italian restaurants! It’s so easy to sprinkle onto any dish even stir frys. Spices it up and gives it another flavor dimension. 1. Great in stir frys. Stir fry your veg, then meat, when you combine back, sprinkle in curry powder liberally. Yummy. 2. Other uses: soups, salads, grill meats like lamp chops, salmon steaks, satay skewers, the list goes on and on. If you don’t want the hassle of making curry from scratch, just use CurrySimple! 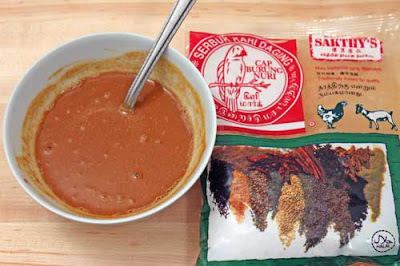 It is a Thai curry sauce with coconut milk and curry paste, all-in-one pouch. It’s fantastic, very authentic, just open and pour. I personally chose CurrySimple to be included in my Kit. You can find stores nationwide or order other delicious combo packs, cute t-shirts and lots of other goodies directly from their site. I made an easy CurrySimple Thai Salmon and used the leftovers in a CurrySimple Salmon Salad the next day. I will be adding more posts using CurrySimple. I always serve a small cold pickle as a side dish to “cool off” the spicy heat from the curry. Usually a simple cucumber and tomato, onion pickle. Watch out for post on Pickles soon. So, finally here’s a very simple Malaysian Chicken Curry based on my mom’s “recipe”. I used to teach this when I had my Key West cooking school and give out recipes. What I love about this curry is that you never get tired of it. 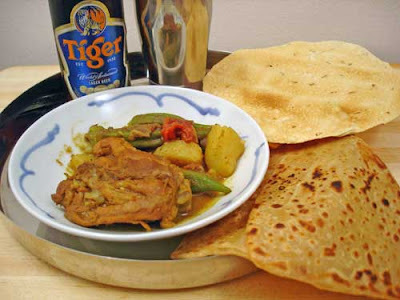 It’s just delicious, serve with basmati or jasmine white rice. I prefer brown jasmine rice. You can find chipati, naan or paratha in the frozen compartment at Indian stores. 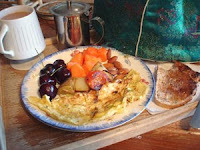 a talented teenager gives a step-by-step on his blog, The Sophisticated Gourmet. 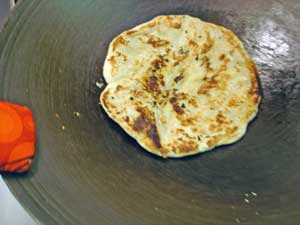 Your wok is PERFECT for heating up frozen paratha, takes just a minute. Dip in curry sauce, the Indian way. YUM. You can HALVE this recipe if you just want to cook one tray of chicken (6 thighs) but curry is always better the next day. So, I like making a BIG batch since I’m doing the work already. Just a word of warning, curry powder has tumeric, the dreaded spice that turns everything yellow! So, cover your countertops if you don’t want any spillage. 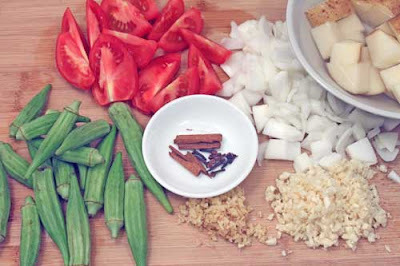 Malaysian curries usually start with “rempah”, a spice paste to kickstart the dish. 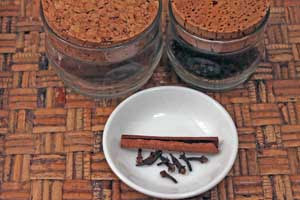 Rempah can include spices like coriander, tumeric, chili powder, galangal(yellow ginger), blachan (dried shrimp paste). My personal preference is NOT to add the spicy stuff in the rempah because when you fry it, it’s extremely pungent and makes you cough and sputter. 1. You know the stir fry drill, heat your cast iron wok, squirt oil, fry onions. Set aside. 2. Clean wok, always start with a clean wok otherwise you’ll get a hard fond forming at the bottom of your wok and you won’t be able to “brown” anything. Same stir fry process as no.1, fry chicken in batches, set aside with onions. 3. Clean wok, same stir fry process again on medium heat. Fry rempah and dry spices (cinnamon stick and cloves) for a bit. Don’t let it burn. Add the curry paste and immediately add the chicken. Coat chicken and onions with the paste as best you can, don’t worry if it’s not completely all over. 2. 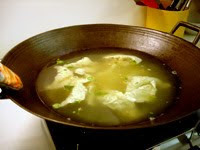 Add just enough water to cover the chicken. 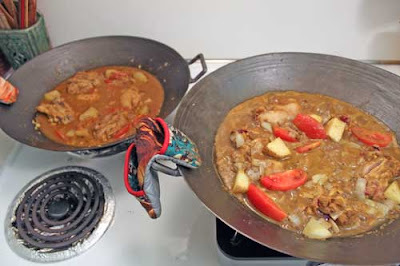 Once the curry starts to boil, turn down heat to simmer. Time it takes to cook depends on quantity. Add in tomato wedges and cook till chicken is tender. Add the potatoes so they have time to absorb the curry flavor before you serve. This Chicken Curry never fails to please me. Keep coming back for more Curry variations. I’m also working on my food journeys to Singapore and Penang. Next blog is Pickles, a lovely cooling side to go with spicy foods, Yin and Yang.